For each offer ordered, get 1 gallon pot. Compact shrub makes an attractive foundation planting, low hedge or accent plant! 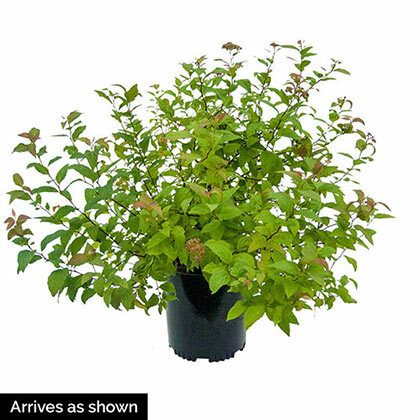 Birchleaf Spirea is now available in a gallon pot and shipping now. 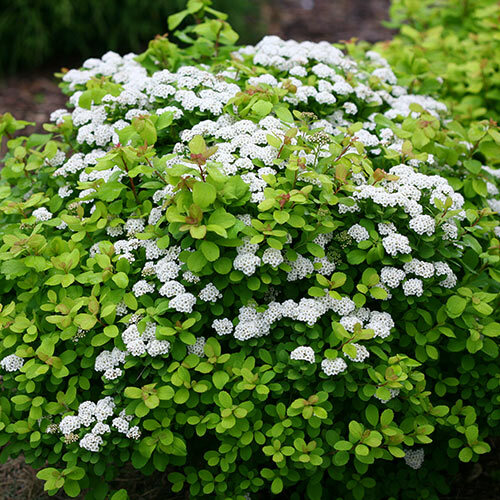 Growing 24-36 inches tall with a similar spread, Birchleaf Spirea grows in a dense, compact, rounded mound. In late spring, clusters of white flowers appear, attracting butterflies. Dark green, sharp-toothed leaves turn shades of orange, red and purple in the fall. Grows best in full sun. Deer tend to avoid. Potted. Zones 4-8. This product is shipping now. FoliageBirch-like, round to egg-shaped leaves, with toothed margins turn quality shades of orange, red, and purple in autumn. Flower FormA multitude of very small, fluffy, white flowers that form clusters. Soil RequirementsPrefers fertile, moist, well-drained soil, but tolerates a wide range of soils. Growth RateSlow to get established, then moderate. PruningPrune to remove dead and damaged branches. DepthDig a hole twice as deep and twice as wide as the container. Place the plant at the same level it is growing in the pot. Firm soil around the base of the plant and water thoroughly.